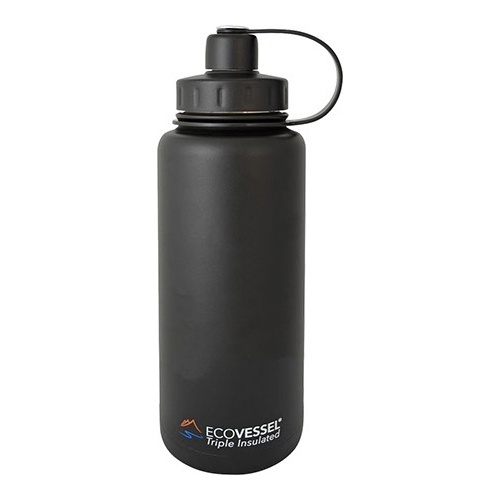 32oz Growler - Triple Insulated EcoVessel "Boulder"
$32.95 & FREE Shipping on orders over $59 $35. 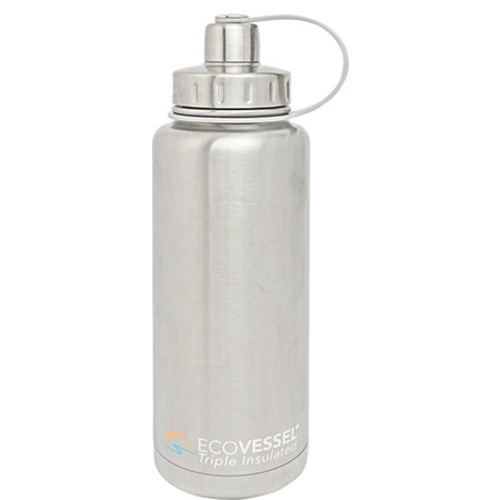 EcoVessel triple insulated growlers have the best insulation properties on the market. Able to hold cold temperatures for 36 hours and hot temperatures for 8 Hours, this vessel was tested and outperformed every other growlers insulation. We chose to stock EcoVessel products due to their superior insulation, sleak styling and superior quality. The Boulder is their flagship bottle that enjoys wide popularity, especially with our new 32 oz size! You can fill this bottle with both cold and hot drinks and take it anywhere, since its secure top will keep your drink inside where it belongs. So, toss in a tote bag or backpack and hit the trails, golf course, run errands around town or keep on your desk for convenient hydration through the day.